Southern Illinois University Press, 9780809335770, 96pp. 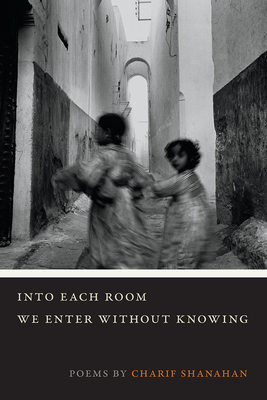 With poems that weave from Marrakesh to Zürich to London, through history to the present day, this book is, on its surface, an uncompromising exploration of identity in personal and collective terms. Yet the collection is, most deeply, about intimacy and love, the inevitability of human separation and the challenge of human connection. Urging us to reexamine our own place in the broader human tapestry, Into Each Room We Enter without Knowing announces the arrival of a powerful and necessary new voice. Charif Shanahan was born in the Bronx in 1983 to an Irish-American father and a Moroccan mother. He holds an MFA in poetry from New York University. His poems have appeared in Baffler, Boston Review, Callaloo, Literary Hub, New Republic, Poetry International, Prairie Schooner, and elsewhere. He has received awards and fellowships from the Academy of American Poets, Cave Canem, the Frost Place, the Fulbright Program, the Millay Colony for the Arts, and Stanford University, where he is a Wallace Stegner Fellow in Poetry.